My friend and associate Raj Anand, founder of Kwiqq and an enthusiastic marketer, recently encountered a small controversy. In a moment of marketing inspiration, Raj decided to see if he could manipulate the social bookmarking website Digg and send one of his blog posts racing to Digg’s front page. By simply offering a lollipop to everyone who Dugg his post, Raj wanted to see if he could get the substantial number of votes required to make his post number 1 on Digg. 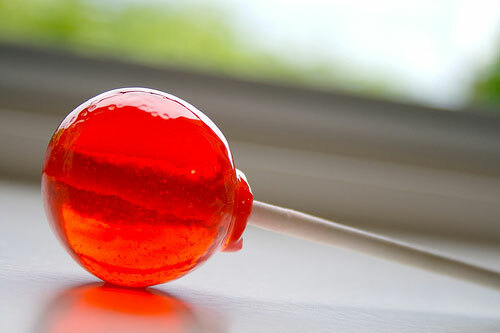 In order to spread the news of his lollipop offer, Raj made use of his social networks like Facebook and Twitter. Raj also posted a message to Brighton’s New Media (BNM) email group. And this is where Raj’s experiment began to derail. Some members of the BNM group objected vociferously to Raj’s posting. It was rejected as being pointless spam. It must be said that some BNM members defended Raj’s actions, but generally the reaction was that Raj was spamming the list. As I watched the reaction to Raj’s marketing stunt with interest, I began to wonder what lessons on modern marketing could be learnt. The simple lesson is very clear: be careful when using your social networks to market your business. Many people are sensitive to anything they perceive as spam. And as soon as someone feels that something is spam, it becomes, in effect, spam. I think that if Raj had attempted his Digg promotion in the US, he might have received a different response. In America, this kind of chutzpah is more likely to be celebrated and embraced. UK audiences are more sensitive to what they perceive to be brazen salesmanship. Some people in Raj’s networks saw the novelty in Raj’s Digg promotion – it was a harmless, fun marketing exercise that was attempting to manipulate a popularity contest with a bribe. Others viewed Raj’s offer as a cynical marketing stunt that abused his social networks with an empty gimmick that was only intended to achieve publicity. So Raj’s one initiative could be viewed in two disparate ways; there is clearly a fine line between spam and content. Anyone planning on using social media as a marketing tool must exercise caution – because the risk of offending and alienating an audience is easy to misjudge. Even those with good intentions (like Raj) can easily cross the line into spam territory. The simple way to understand the online communities is to use them. If you’re new to social media, go slowly. Start off as a user and watch everyone else. Contribute. Often the best benefit to be gained from social media is the start of your reputation as an upstanding, helpful and knowledgeable individual. Hi Keith, thanks for your comment. I think the problem is that people don’t always want marketing, particularly in their social networks. And some people consider unsolicited marketing messages to be spam.